In 1979 there was a whole hell of a lot more going on than just the mod revival. You all know the mod revival inside and out I'm sure. Trom The Jam to the Purple Hearts, the Small Hours, The Aces, to Mods Mayday '79, and of course the release of Quadrophenia. All good stuff. And all been done to death. Heck, I did a big mod revival show a few years ago as part of my Mod Essentials series. It's a good show. As I said, a whole hell of lot of other things were happening in music. Like 1966 and 1994, 1979 was just one of those iconic watershed music years. 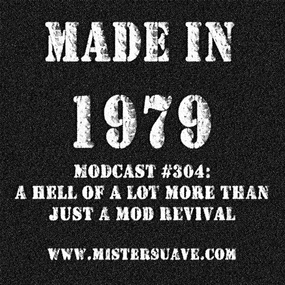 So on this week's modcast I'm going to explore some of the other things happening at the same time the mod revival was in full bloom. 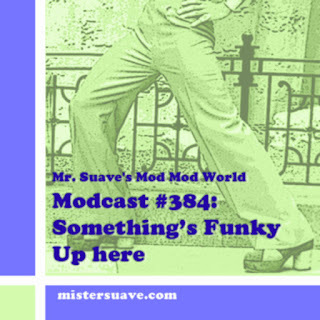 Modcast #303: How Are The Acoustics In Here?